Earn $0.25 in Rewards credit (25 points) What's This? 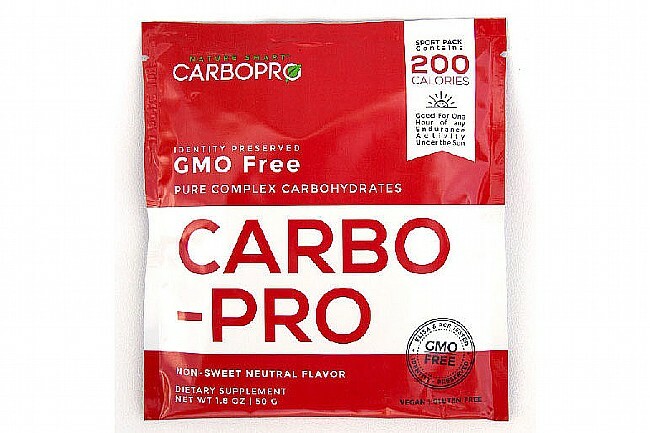 The Carbo Pro 50g Packet offers an efficient, easy alternative to capsules or big meals. 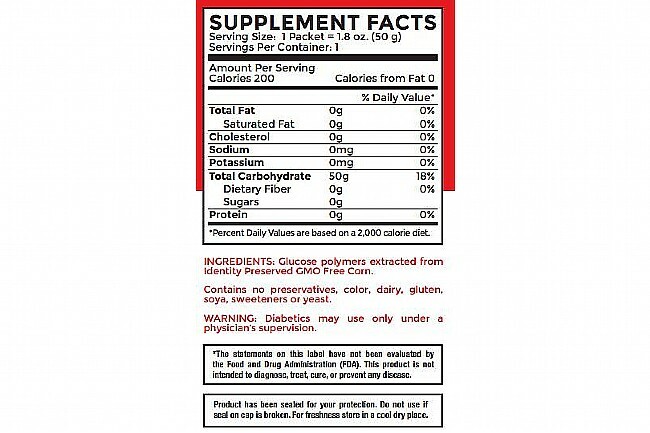 Carbo-load 2 to 3 days before a major event, mixing one-half of a packet (100 calories), or the entire packet (200 calories) in 12 ounces of cold water once in the morning and once in the evening. One full serving packet represents as much carbohydrate content as about 200 grams (about 1/2 lb) of cooked pasta, or as much as 430g (about 1 lb) of potatoes.